Recent studies and researchers are coming up with various evidence to prove the connection between Fibromyalgia and Chronic pain to that of other body conditions. One such connection is with Dry eye conditions. A recent study was conducted at the Bascom Palmer Eye Institute which is a part of the University of MHS. The researchers found that there can be a connection between dry eye condition and we can see its link in fibromyalgia and chronic pain patients. The study was conducted extensively where there were also other things identified as part of the study. The outcome of the study also insisted that the way the diagnosis is being done to identify such conditions should also be improved to give a good way towards proper treatment. Clinical characteristics were investigated to know more about the dry eye disease and especially their impact on the patients with fibromyalgia or chronic pain conditions. There should be more awareness among the clinical practitioners to understand the link between chronic pain symptoms and the dry eye syndrome. It will be good to provide necessary medication after understanding the actual connection. What is dry eye condition? Dry eye condition is very common among Americans. One of the surveys conducted by American Eye Institute says that there are more than 3 million Americans affected by Dry eye symptoms every year. The Eye is one of the most sensitive parts of the human body. That is the reason why eyelids act as a protective layer by closing and opening to prevent eye. Another defensive mechanism in the eye is to produce enough tears in order to clean the eye from dust or other foreign particles. Along with tears, there are also other fluids that are produced in the eye to keep the eye-safe and secure. In most of the people due to various reasons, the tears will not be produced in sufficient quantity. This will result in dryness in the eye. This condition is called as dry eye condition. There is also another fact that even though eye produces some tears, it is easily evaporated from the surface of the cornea. That is another reason constituting to dry eye syndrome. There are many treatments and medications available to treat the dry eye condition. Understanding and considering the consequences that a dry eye condition can create, it is highly necessary that we should treat the problem as early as possible. One of the easy and common methods that are used to treat dry eye condition is using eye drops prescribed by medical practitioners. These drops when used provide refreshment to the eye acting as an artificial eye lubricator. How is dry eye condition related to chronic pain? Due to the above-mentioned factors, the patients develop dryness in the eye that can result in itchy sensation followed by a mild pain. If this is allowed to continue, it can also result in chronic pain symptoms. That is the reason why people who work regularly in front of computers are asked to blink frequently. Usually, they forget to blink whey they work. This can easily contribute to dryness in the eye. 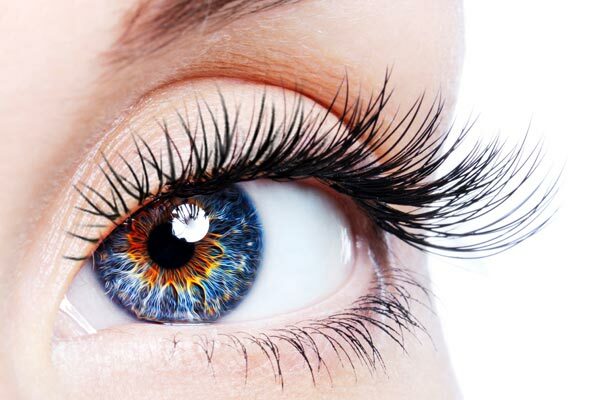 As we all know, the eye is made of various nerves out of which some of the very sensitive nerves. If it is let dry for a longer time and also if it is exposed to itching and pain, there is a high possibility that these sensitive nerves can get damage. If this problem is not treated properly it can also lead to further complications like ulcers, cornea damage and also inflammation. Blinking the eye not only help in clearing the dust on the outer surface of the eye but it also helps in lubricating the eye with the help of tears and other fluids. For some people who have developed pain in the eye due to continuous dryness, doctors suggest the medication that involves artificial lubrication. In other words, this is also called as artificial tears where external substances are used to stimulate tear formation in the eye that helps in lubricating the eye to a good extent. However, the pain symptoms will still be a problem. Most of these pain symptoms will lead to chronic and fibromyalgia problems when untreated. The researchers that were conducted to understand this also provided more outcomes on this fact. This pain can also constitute neuropathic pain. Other external factors for neuropathic ocular pain can also be because of genetic reasons. That is what the researchers and experts feel. It sometimes can surprisingly be a condition overlapping the chronic pain syndrome. Doctors usually use artificial tears in order to treat the dry eye condition. We can commonly see this problem in people who use their system for a longer time. They may not be aware and cautious when they are working as their concentration will be fully on the work that they do. But later when they complete the work, they will be able to feel the strain in their eyes. This can otherwise be called as dry eye condition. Medications and effective treatments are available for both temporary and permanent solution. When this problem is associated with chronic pain condition or with that of fibromyalgia symptoms, it is important to understand the symptoms and the condition better before going for the medication. Refreshment eye drops are provided to prevent the eye from drying. It may not be considered as a permanent solution. Especially in people who have chronic pain and other fibromyalgia symptoms, the dryness in the eye can also be due to other deficiencies. The treatment is also provided based on the condition of the person. For some people, the situation might be complicated and for some people, it might be enough if they sort out the dryness problem in their eye. It is easy to identify these with the help of proper diagnose procedure. There are also other factors like the sensitivity of the eye to be considered. It is good to take the right medication. Sometimes the chronic pain will lead to lots of suffering as it is a persistent disease. The medication should be provided only after understanding the level of the symptom that a person experiences. Higher symptom receives special care and special medication. Seeing as how so many Americans suffer from dry eyes, it can be difficult to directly relate this to fibromyalgia without a professional. I am glad you suggest in your article seeking out a doctor early on to prevent dry eye, I think that is the best measure of protection. I have had dry eye’s for years used over the counter drops. That my recommended, doctor says I have glaucoma due to the dry eyes. So this is leading to surgery. And that I do not want. Doctor added three different drops plus the over counter one I use daily. Have had Fibromyalgia for over 45yrs. I had asked him if fibro had something to do with this he wasn’t sure. Thank you for this info.